Supporting local charities is our way of giving back to the volunteer groups who have worked so hard to build a better community. Volunteer groups and non-profit organizations do so much, but they can't do it alone. Cheep Storage believes local businesses have a responsibility to help those who are less fortunate and are proud of the contributions we have made in the communities we serve. Cheep Storage is proud of our sponsorship and association with Waves of Impact. Located in Oceanside CA, Waves of Impact was formed to introduce individuals facing challenges in their lives to the thrill of being in the ocean and riding waves. The fresh ocean air and cool waves are naturally relaxing and helps reduce stress for those with disabilities. Waves of Impact seeks to spread this experience through free surf camps for kids with special challenges and the veterans of our military who were injured while serving our country. Waves of Impact Surf Camps Are Free! 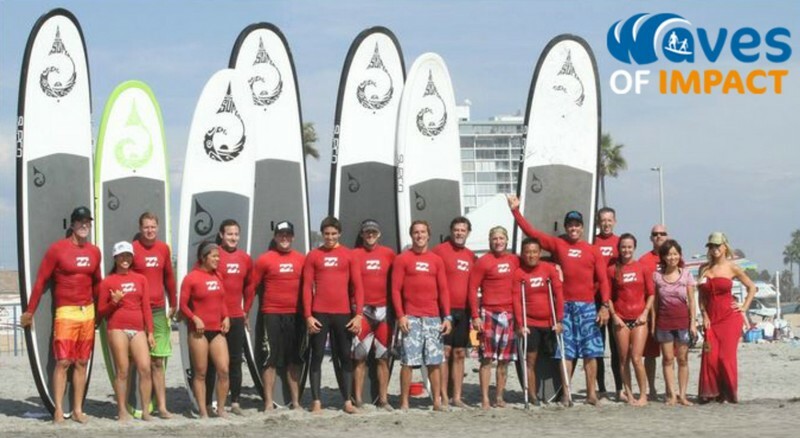 Our surf camps are made possible by an awesome cadre of local volunteers and the financial generosity of our sponsors. We don't solicit from the families we serve and never will. Although our founders and volunteers put in thousands of hours a year, no one takes a salary. Every dollar that is donated goes directly into funding our surf camps. Our storage facilities and administrative support are donated by local businesses - a special thanks goes out to Cheep Storage in San Clemente. 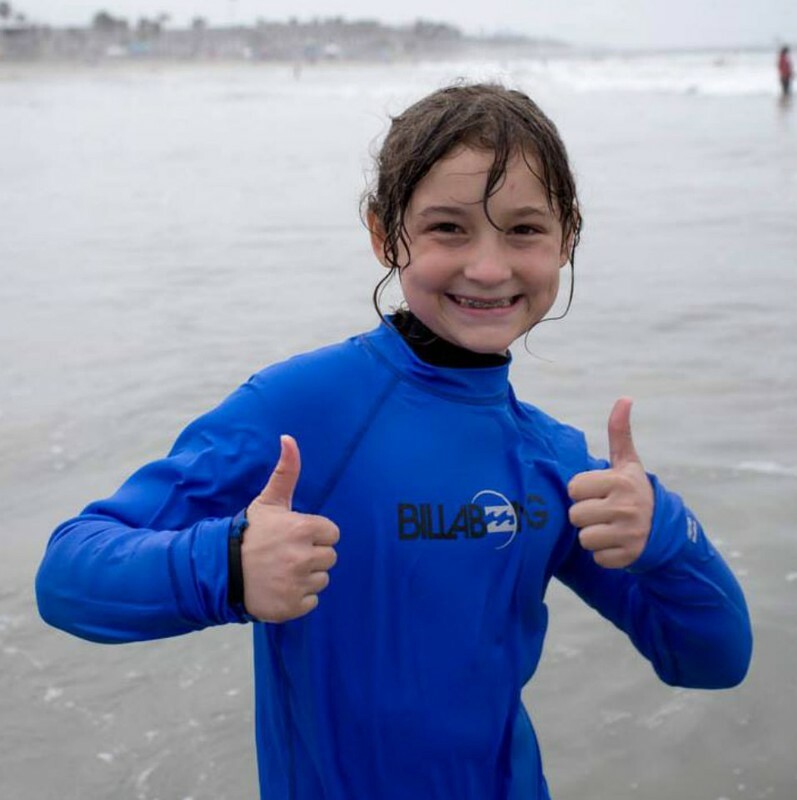 If your family has a child with special challenges and you would like to have them participate please check our events page for upcoming surf camps on the Waves of Impact website. Thank you so much for the incredible day of surfing you helped to give our kids. Saturday not only was amazing for our Autistic son but for our entire family. Our son is not a beach kid, he dislikes sand and cold water and it is close to impossible to keep him at the beach longer than 20 minutes. On Saturday however, he loved every second of the 2 hours we spent as a family down in Oceanside. He surfed, played in the sand and was an active part of one of the best days our family has ever shared together. This day has changed our lives. to say without your support for Waves of Impact this day would not have been possible. Thank you so much from all of us. Thank you so much for sponsoring Waves of Impact. I took my daughter who is 9 years old, has severe autism, and is non-verbal, to the Oceanside Surf Camp on Saturday 6/14. Life can be very hard for my daughter, so it was wonderful that she got to go out and really enjoy herself for the day. The ocean is like magic for our kids. And every time they try something new and enjoy it, it gives them the confidence to achieve more. The children were having a great time that day, and the staff was great. We wanted to thank you so much for sponsoring this amazing event! So many of our friends and family have been able to share in the joy of this event and we look forward to it every time. It was our third time attending and as always, it is a very special day for our family. We live an hour north and to get to spend the day with professional surfers and kind people, is wonderful! It was the perfect way to start of the summer break! Thank you so much for sponsoring Waves of Impact. My kids had a great time both on sand and on waves. It's an experience they will always treasure and we really appreciated the opportunity. The Vouaux Family had a wonderful day with Waves of Impact. Our son is a trooper and I see a surfing future for him and this was the ultimate experience for us to see that he enjoyed it so much. Little by little, we are getting our other son more and more familiar with the ocean. He earned a medal this time and felt so proud. The October experience was fantastic with great parking available and very few crowds. The weather couldn't have been more perfect! I hope we can continue to participate in this fantastic program again and again. Thank you so much for sponsoring this fabulous event! Thank you all for all that you do for the Special Needs Community! I have twins with special needs and your sponsorship so they can enjoy at day at the beach surfing means so much to their father and me. The boys had so much fun and the people who work at Waves of Impact are very organized and kind. We hope to do this again next year!